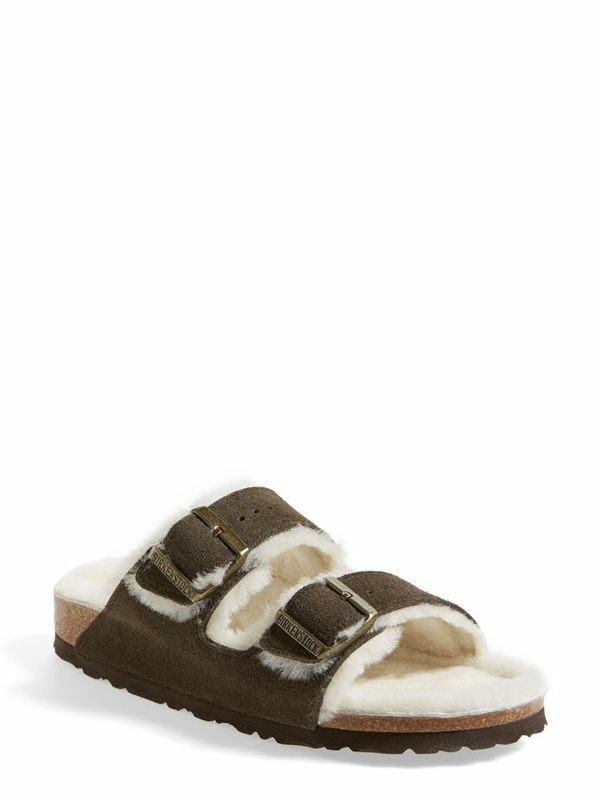 Shearling Birkenstocks Exist: Would You Wear Them This Season? Ahh, Birkenstocks. You might have assumed that the most polarising shoe trend of the spring and summer wouldn't be sticking around for fall and winter—after all, it's a sandal. But we're here to inform you that the German brand has adapted it's über-trendy shoe style for the cooler seasons! The retailer has lined their ubiquitous double-strap Arizona sandals with a hugely trending textile for fall: shearling. The thought, we assume, is to make the summer wardrobe staples appropriate and wearable for the cooler months; and incorporating super-popular shearling is a pretty brilliant way to do it. The shoes are already available on a number of retailer sites, including Nordstrom (below). Take a peek at the fall sandals for yourself and then tell us: Would YOU wear this trend into the winter? So, are you into wearing these sandals into the fall? Tell us in the comments below!